The original Red Rock "high-scaler", ca. 1933. This guy has been at this hanging belay for over 20 years! Jon, the bronze sculpture in George's pic is at Hoover Dam. Hoover Dam; a favorite hang out. Here's a bit of info. 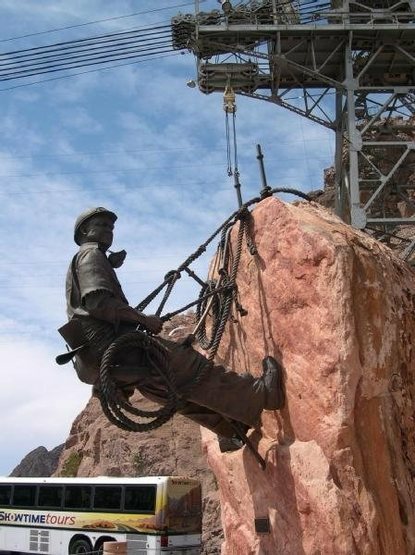 on the "Hoover Dam High Scalers" you may find interesting. I believe the sculpture (above, and in George's pic) is of a High Scaler named Joe Kline. The Native American Hoover Dam High Scalers. And another character, Charles "Chick" Julian. Damn, these men were men! 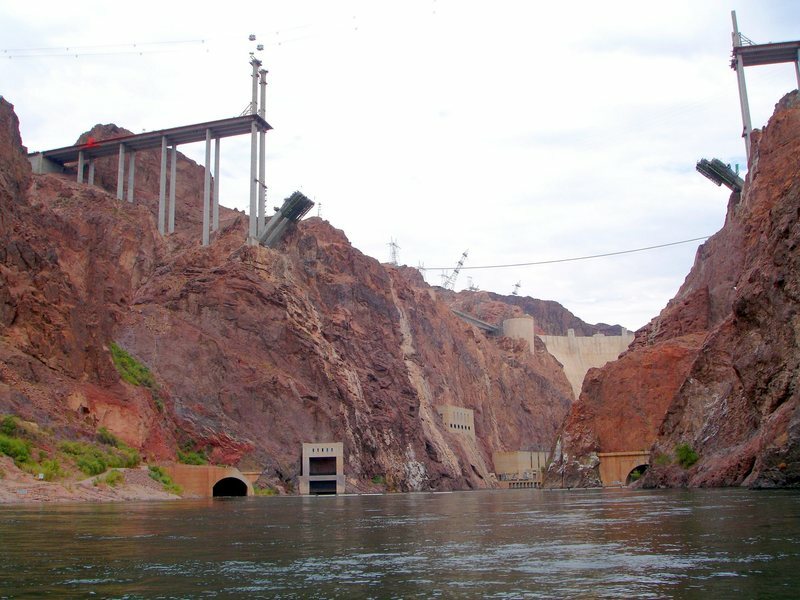 Also, if you visit Hoover Dam, check out the progress of the Hoover Dam Bypass bridge; it's amazing! FYI: The best way to view the bridge is in Willow Beach/Black Canyon by boat, kayak, or canoe. Here's a pic I took from our rented boat on July 15th 2008. Thanks so much Gigi! Killer info! I'll pass it on! I'll know on June 8th whether or not we'll adopt the High Scaler mascot, I'll be sure to post! Anyone with info, post it, I'll forward it to our principal..